the fugitive former Chairman of the Presidential Task Force on Pensions, Abdulrasheed Maina, in Dubai. “If hundreds of Mainas believe that they have information to offer as far at the protection of the national interest is concerned, I will meet them and will do so again,” Malami said in his first public interview in the current edition of The Interview magazine. After a spell in exile, Maina who has been accused of stealing N2billion public pension, returned to Nigeria and was re-absorbed into service. 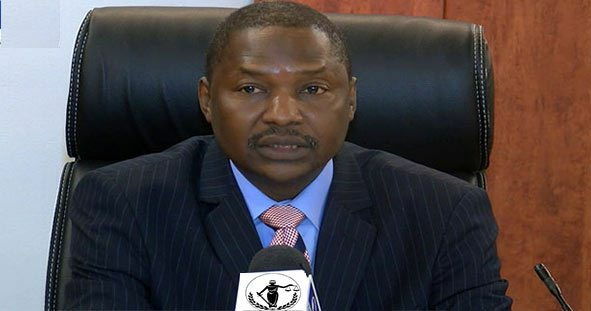 In the interview, Malami said his meeting was in pursuit of the national interest. “It boils down to whether I have indeed acted or I have not acted,” he said.